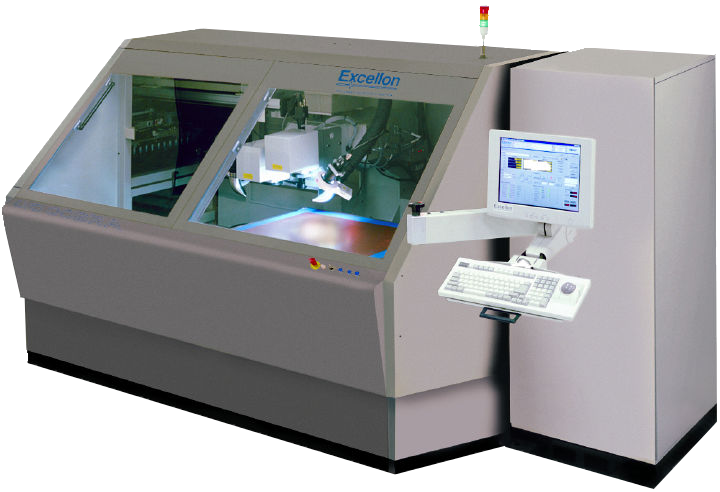 The Excellon Cobra Hybrid Laser system features both UV and IR (CO2) laser capabilities to cover a wide range of flex circuit and rigid-flex circuit processing applications. The Cobra system provides the essential capabilities to meet the increasingly demanding requirements of the electronics industry. It combines high throughput with reliability and low cost of ownership; advantages that makes it easier to step into the laser processing market.is a single station precision drilling system. It is designed with features to provide high accuracy and speed, and is the perfect tool for prototyping and small/medium production batches. Equipped with linear drive positioning, internal layer inspection capability with “best fit” alignment algorithms, and precision depth control, it comprises all the necessary tools to meet the demanding requirements of today’s electronics industry.